Sri Lanka is gearing to reap the benefits of the Free Trade Agreement with Singapore, with four mega projects being discussed by the Board of Investment (BOI). According to the BOI, the projects with a total investment value of over $ 16 billion in manufacturing mainly for exports are the first projects to realise since the Sri Lanka-Singapore FTA was implemented on 1 May. The largest of these is an export-oriented oil refinery valued at $ 14.8 billion in Hambantota. The second is a $ 1 billion investment in a steel manufacturing plant in Trincomalee. 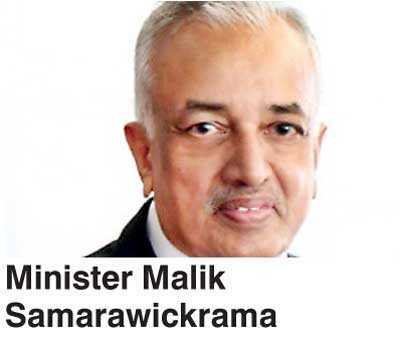 The other two projects will both be in Hambantota - a $ 200 million sugar refinery and a $ 50 million flour bill, for both local and export markets. These proposals are being evaluated and will be implemented as soon as land is identified, the BOI said. Last week, Sri Lanka held a highly successful investment forum in the city state, targeting Singapore companies encouraged by the FTA. The forum was attended by Prime Minister Ranil Wickremesinghe, Minister of Development Strategies and International Trade Malik Samarawickrama, and officials of the BOI, Sri Lanka Customs and MODSIT. The Singapore delegation was headed by Senior Minister S. Iswaran. Presentations were also made by two recent Singapore entrants to Sri Lanka in the food and beverage sector who highlighted the strong investor facilitation now being offered by the BOI and the high living standards, including housing, healthcare and education facilities, which make it easy for job creating investors and their families to be based in Sri Lanka.In the early years of Sri Lanka’s open economy, Singapore was one of the largest investors with marquee investments by companies such as Shin Kwan Group and Prima Group. While Singapore’s outward FDI has skyrocketed over the past two decades, Sri Lanka’s portion had trickled downwards. The FTA is expected to place Sri Lanka firmly on Singapore’s investment map, and the serious interest is an indication of a massive upswing now underway.